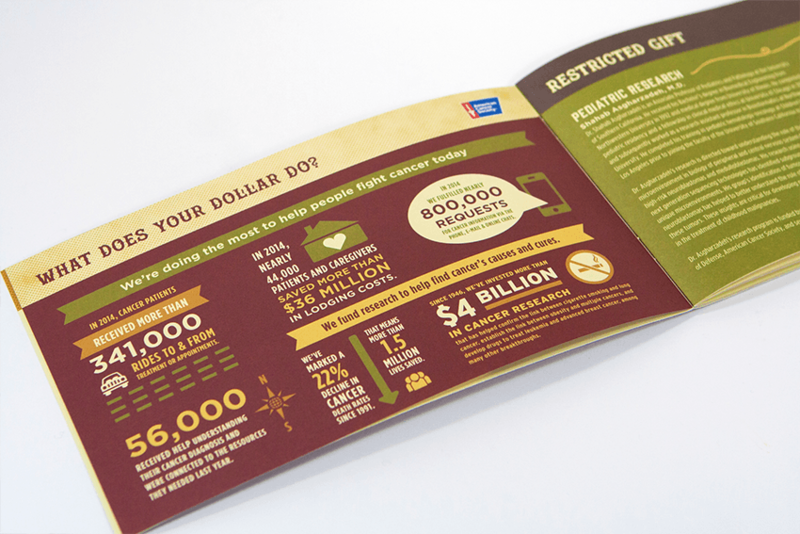 The American Cancer Society is the nationwide, community-based, voluntary health organization dedicated to eliminating cancer. 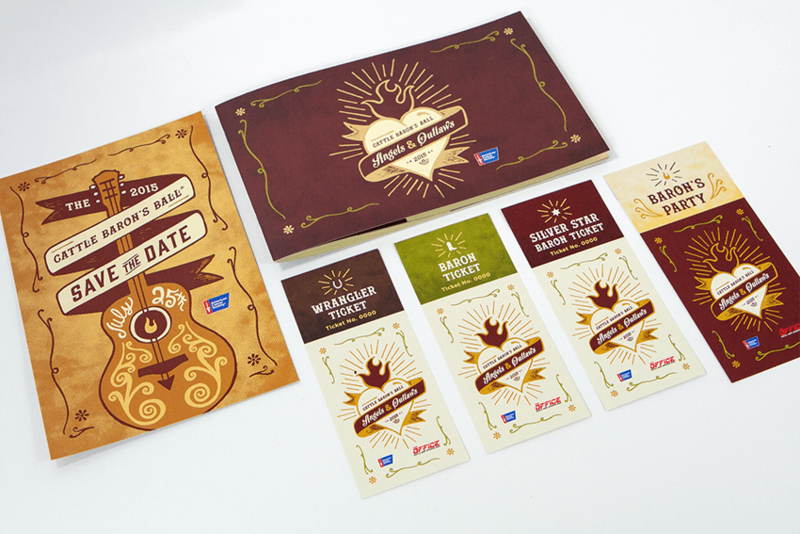 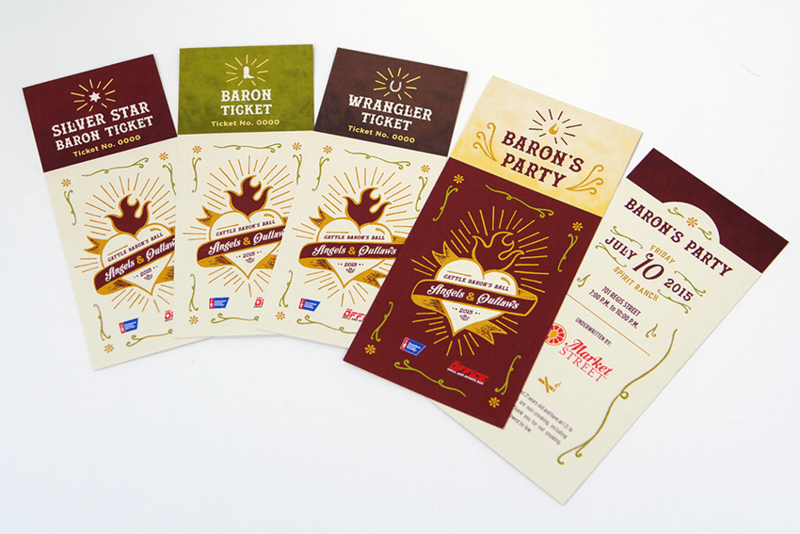 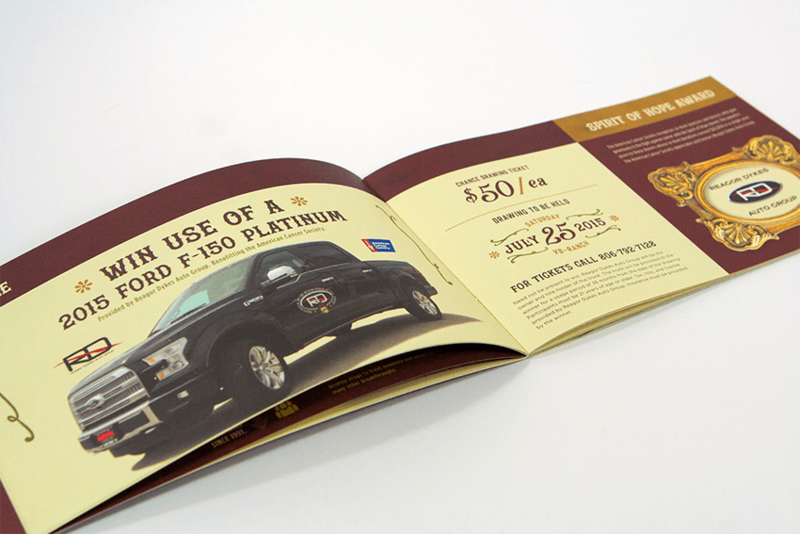 AMW was pleased to partner with our local ACS chapter in creating a singular design aesthetic for the 2015 Cattle Baron’s Ball theme and print materials. 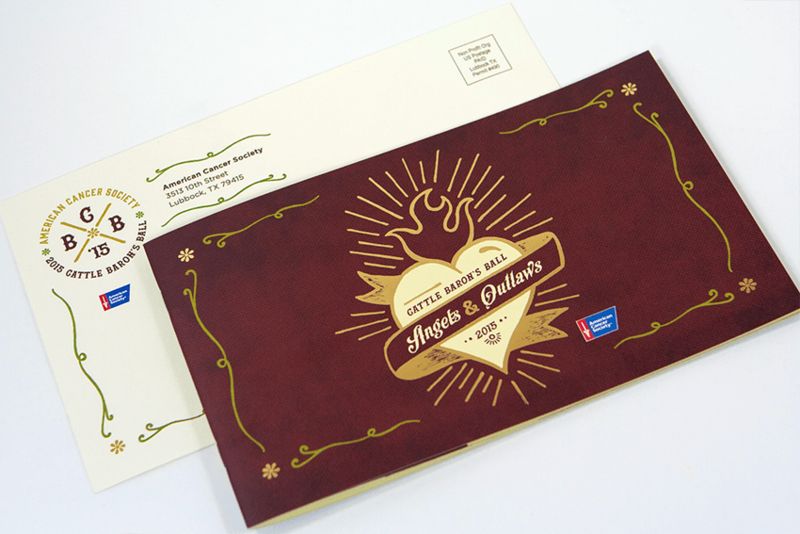 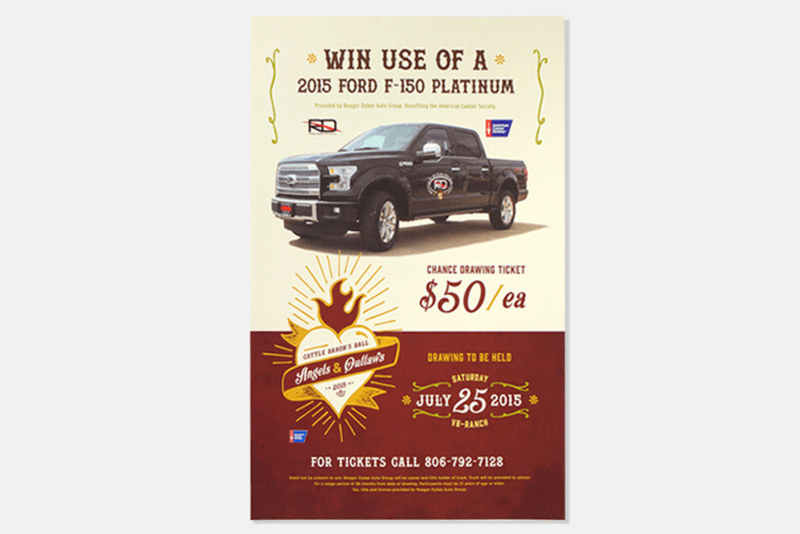 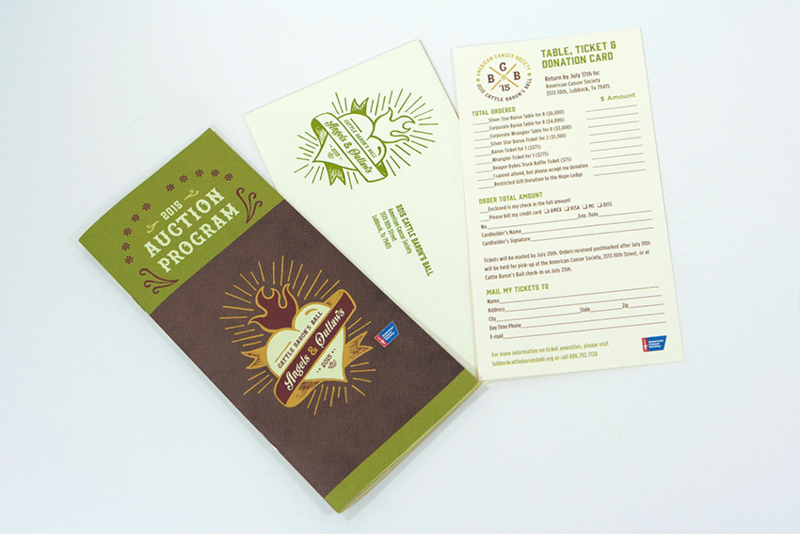 Collateral materials included a save-the-date, program invitation, envelopes, tickets, and a silent auction program.